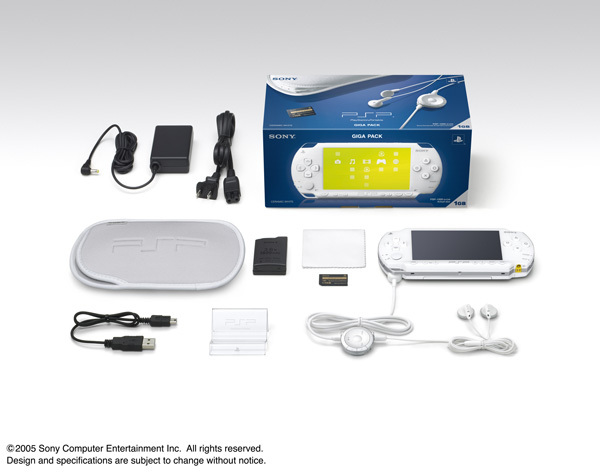 Both the Standard Black (PSP-1000G1) and the Ceramic White (PSP-1000G1cw) packages will be available in Japan from the 17th of November at the price of ¥31,290 (approx £155/$280). 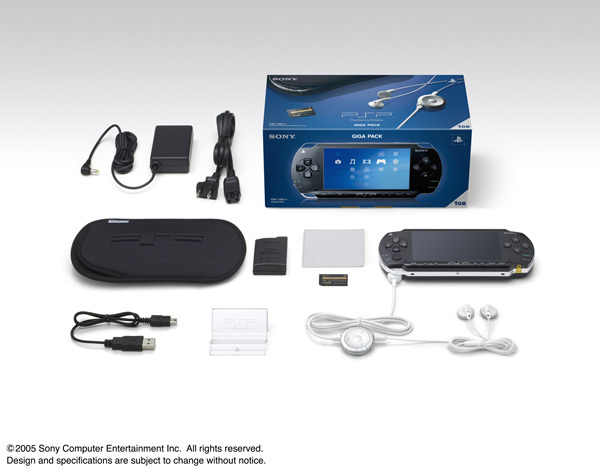 The PSP will come pre-installed with Firmware 2.50. UPDATE: Sony is planning to release similar packages in Europe, North America and the rest of Asia soon in mid November. The packs are scheculed to be released in the UK on the 21st of November, and will follow throughout Europe and Asia on the 28th November. The packs are ideal for christmas gifts are will be available for a limited period only. The current high demand for PSPs in the UK and Europe will mean these packs will be sold out fast, not to mention that they will be sold for a fraction of the price for buying a PSP and a 1GB Memory Stick PRO Duo seperately. The PSP branded Memory Stick PRO Duo will be available for sale early November for existing PSP owners who want to upgrade their memory capacity.